Caretaker Interior Minister Nouhad al-Mashnouq stressed Monday that Prime Minister-designate Saad Hariri is insisting on forming a national unity cabinet where all the factions will be represented, stressing after his meeting with Mufti of the Republic Abel Latif Darian that Hariri will not allow anyone to undermine his prerogatives and the relation between Hariri and President Michel Aoun is the only guarantee. Al-Mashnouq noted that being keen on al-Maqased association means being keen on moderation, calling on Saudi King Salman not to abandon al-Maqased schools and continue to support them. 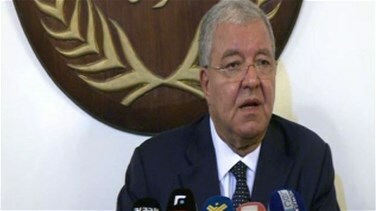 On the refugee crisis, al-Mashnouq said “there is not debate over the need for the refugees to voluntarily return and the state is performing its role,” adding that the proposal made by Hezbollah Secretary General Sayyed Hassan Nasrallah in this regard suggests abandoning the law, while the International Community only recognizes the state. On another note, the caretaker minister commented on an interview with him published by al-Joumhouria newspaper, explaining that any decision he takes will be discussed with Hariri.